Microsoft has told TechRadar that it will not be looking to leverage its Bing brand within Windows, and insists that it will 'not force Bing on anyone'. 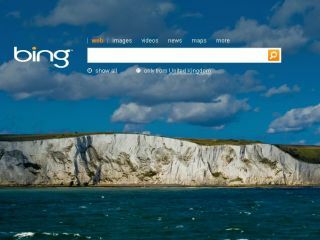 TechRadar asked Search Lead Paul Stoddart about the possibility of a 'desktop Bing' but was told unequivocally that the focus is on the internet – and that Microsoft was being very careful in making sure that Bing was an option rather than foisted on people. "Bing is very much web-focused," said Stoddart, "the search bar that you see in the likes of Internet Explorer will move from Live to Bing, but when you buy a new PC you will be given the option to use a different search engine as your default. "We don't force Bing on anybody," he stated, before adding with a smile: "apart from at Christmas - Bing is very important at Christmas. But not JUST for Christmas." According to Stoddart, one of the key differences between Bing and its rivals is that it will not tinker with the results. "We do not manipulate our search results," insists Stoddart. "take the example of searching for maps. "We are only seventh in that search, because our algorithm says that we should be seventh. "Now obviously we want to be at the top, and we will strive to get there, but it will be through hard work rather than manipulating the results." Of course, one of the hottest topics around Bing is how Microsoft arrived at the branding. "We wanted to give the brand personality," said Senior Product Manager Mari Thirlwell. "Within the search team we feel that it encompasses what we are about," adds Stoddart. "We wanted Bing to be friendly and approachable."